The Stitchin' Magician - COMMERICAL (INDUSTRIAL) MACHINES The Stitchin' Magician is an authorized dealer for Consew and Chandler industrial sewing machines. If you're interested in an industrial machine, call or come into our shop to check models, availability and pricing. 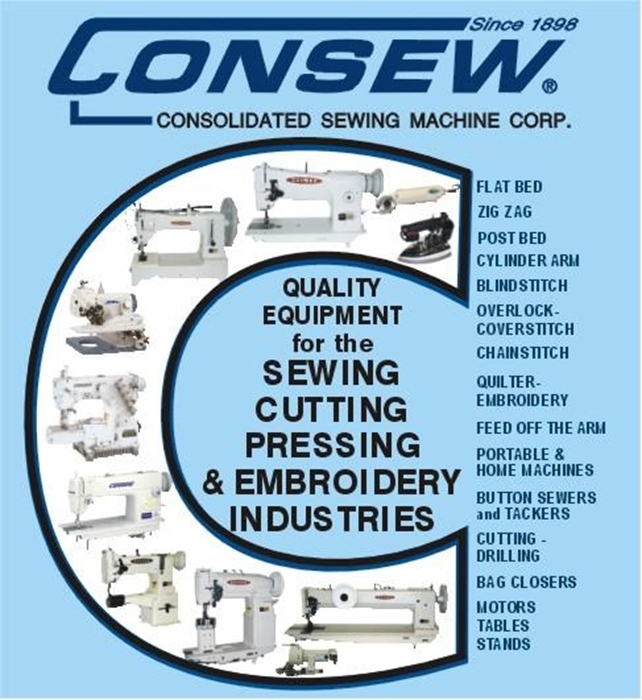 The Stitchin' Magician is an authorized dealer for Consew and Chandler industrial sewing machines. If you're interested in an industrial machine, call or come into our shop to check models, availability and pricing. All of our fully assembled complete machine set-ups (machine head, tablestand, motor, and light) feature Consew electronic servo motors. They are silent in operation and have a speed controller built in. 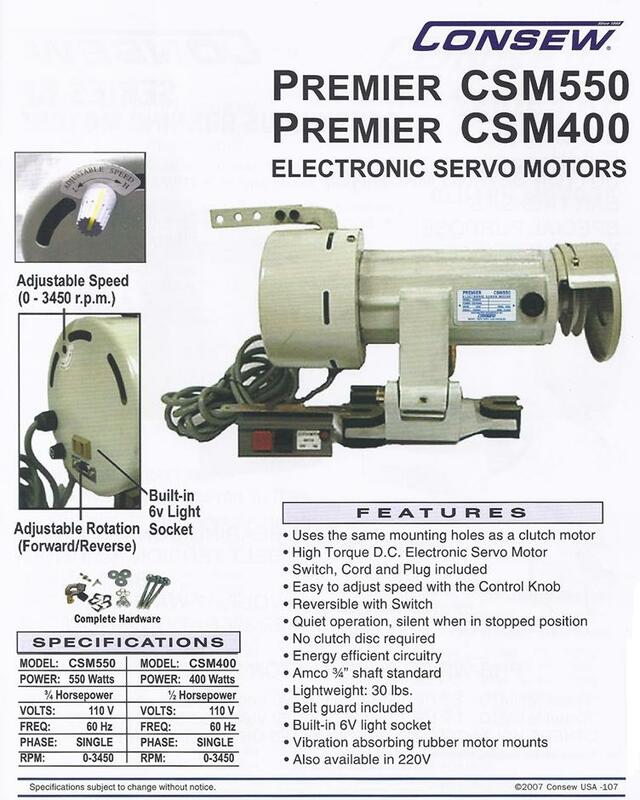 The motors are also available separately to update your existing equipment.